The high-profile devolution deal designed to bring new jobs and economic growth to the West Midlands was condemned in July because it forced the region to accept having an elected mayor. An inquiry accused the Government of pretending to give regions such as the West Midlands more freedom to make their own decisions while it really imposed a mayor on them. It also warned there was no proper system for making sure cash allocated to the region was spent effectively. The findings came in a hard-hitting report by the Committee of Public Accounts, the cross-party body which scrutinised public spending on behalf of the House of Commons. West Midlands motorways would become more dangerous with more accidents if the Government pressed ahead with plans to abolish hard shoulders, an inquiry warned this month. The Department for Transport was urged to scrap plans to turn hard shoulders on motorways, including the M6 , M42 and M1, into ordinary lanes used by vehicles to travel. The Government&apos;s plan, known as "all lane running", is designed to cut congestion on motorways and speed up journey times by adding an extra lane. The House of Commons Transport Committee produced a report after holding an inquiry when it heard evidence from organisations including the West Midlands Integrated Transport Authority, which represents the region&apos;s local councils. Birmingham&apos;s tourism economy is in line for another boost after Edgbaston Stadium announced in July it had secured another England test match. The England & Wales Cricket Board awarded the first match of the Investec Series against the West Indies in August 2017 to the home of Warwickshire County Cricket Club. It was also confirmed the club would host the NatWest T20 Blast Finals Day for the fifth consecutive year in September 2017, adding to the list of confirmed fixtures including India v Pakistan and England v Australia. Neil Snowball, chief executive of Warwickshire CCC, said: "With 11 days of major match cricket confirmed, next summer will be the biggest programme of games that Edgbaston has ever hosted." The surge in popularity of trampoline arenas showed no sign of slowing down this year after new plans were unveiled to open another park in the city. It emerged the Flip Out chain was eyeing a former industrial building in Aston to launch its third park in the West Midlands, joining centres in Stoke and Oldbury. The building, at 50-55 Pritchett Street near the Aston Expressway, was previously used as a home for windows company Kestrel Aluminium Systems until it relocated last year. In addition to the main trampoline area, features would include a foam pit for stunts and tricks, a wall run, basketball and café. The then boss of retail giant John Lewis was rumoured to be entering the battle to become the first elected mayor of the West Midlands. It emerged in July that Andy Street had applied to become the official candidate for the Conservative Party at next year&apos;s election. He was confirmed as the Tories&apos; official nomination later in the year, prompting the John Lewis managing director to stand down from the retail company after 31 years in October. Mr Street was educated at King Edward’s School in the city and has also been chairman of the Greater Birmingham Local Enterprise Partnership. Vital work to create thousands of jobs in Birmingham city centre would go ahead despite funders suspending UK investment, it was announced this month. M&G Real Estate confirmed work would continue on the £200 million Three Snowhill scheme, which promises to create 450 construction jobs and house up to 4,000 office workers when it is completed. It is a major vote of confidence in the city after M&G followed a host of property funds in announcing it was suspending trading after the Brexit vote. The 16-storey office block is a key part of Birmingham&apos;s wider Snowhill masterplan, dubbed the city&apos;s answer to Canary Wharf. Birmingham was to become the home of a new foreign investment hub tasked with delivering more high-value foreign investment projects into the Midlands region. The Government announced the new hub would bring together the Midlands&apos; 11 local enterprise partnerships and staff from government body UK Trade & Investment with the existing Birmingham Business Hub. The hub is operated by inward investment agency Marketing Birmingham and currently comprises funding stream Finance Birmingham, Greater Birmingham & Solihull Local Enterprise Partnership and business support provider GBSLEP Growth Hub. The headquarters, in Baskerville House in Broad Street, is responsible for creating 1,400 jobs and bringing £15 million of foreign investment into the region over the next three years. Bulldozers were given permission to move in and demolish Hall Green Stadium greyhound track and replace it with more than 200 new houses. Birmingham&apos;s planning chiefs approved an application to replace the track, which opened in 1927, and a 48-bedroom hotel with up to 210 houses. The plan was plagued by controversy from the start, with objectors saying it would cost jobs and the loss of a community asset while supporters cited the city&apos;s dire housing shortage. 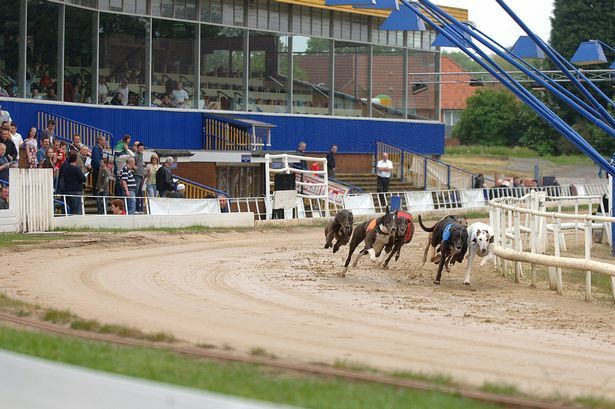 Animal rights groups also campaigned for its demolition over claims that greyhound racing was cruel.